The second edition of Seagram’s 100 Pipers India Music week continues with a series of gigs around the country alongside a 2 day conference. Taking place between 22-25 November, the gigs will take place in Delhi, Mumbai and Bangalore with the 2 day music conference hosted in Delhi. 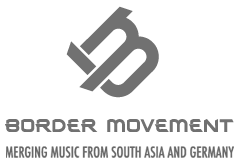 Artists from India, Norway, UK, Germany, Australia, Sri Lanka, Nepal and Bangladesh will be performing in venues across the partner cities with the festival aiming to showcase a variety of genres that represent a contemporary Indian music experience. Artists performing include BLOT, Fardikot, Nucleya, Pearl, Frame/Frame, Schizophonic, Sandunes, Shrilektric, Lord K.I.M.O, Mother Perera (Jahcoozi), Soulmate, Sulk Station, Vinayaka, Teddy Boy Kill, Dub Inc and Vasuda Sharma. A full lineup can be found here. The 2 day conference is supported by the Royal Norwegian Embassy and is made up of a series of practical presentations and workshops around the theme of empowering the artist. Music junkie and Jahcoozi front-woman extraordinare, Sasha Perera got hands on a bunch of pirated cassete tapes as a kid in London and has been obsessed with collecting music ever since. The jams may have evolved over the years but the addiction has never waned. Her DJ sets reflect her own musical instincts, encompassing everything from future bass, 2step/garage, post-dubstep, deep techno &house, ragga, wonky footwerk, IDM. She takes on a range of musical escapades into syncopation, rich sound textures and basslines. As with Jahcoozi’s live shows, Mother Perera’s DJ sets are diverse, fresh and honest. With an organic and a personlised touch, she gathers her tribe of sound disciples and club kids under her wing and takes them on a journey they’ll never forget. Lemaitre is a Norwegian indie-electronic duo who formed in the summer of 2010. Together, Ketil Jansen and Ulrik Denizou Lund create raging disco beats, mixed with soft synthphrases and gripping melodies. Within their short career, Lemaitre has gained a following from all over the world. The band have played at high profile festivals like Øya, Slottsfjell, and Hove and in less than a year, they have achieved a large online following. This has led to radio play, concerts and fans on an international basis. The brightnew hopes of Scandinavian electro are poised foraninternational breakthrough with the release of the trilogy-completing RELATIVITY 3 EP in November 2012.